So you have an Ekobrew coffee maker with the reusable filter, but you are getting too much sediment in your coffee, or you have multiple coffee drinkers in your household. Not a problem! 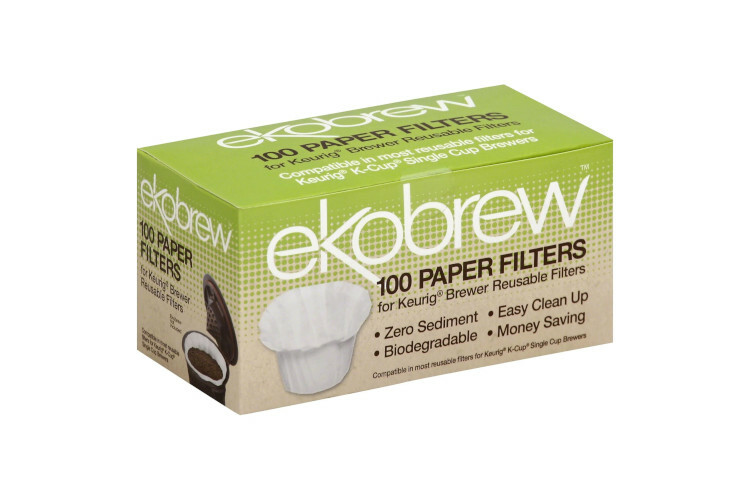 Ekobrew's paper filters fit inside the reusable filter to double filter your coffee and keep as much sediment out of your coffee as possible. The paper filters also keep you from having to wash your reusable filter between each use, so you can make multiple cups of coffee one after the other.